Furniture are the staple pieces in every home, the decorations make up who we are and allow for an escape from the outside world. You should make your abode a humble space where you can feel peaceful while showing guests who you are. Mid-century modern is becoming the chicest house design. Everything 70’s is making a comeback from flare jeans to tables, decorations, and more. We had the pleasure of photographing one particularly beautifully decorated mid-century modern home and have the photos below to share with you. The metal artwork on the walls is mainly all done by Curtis Jere. He is very talented and well known so most of his pieces are expensive, however, you can find cheaper ones that are used on eBay or Etsy. The lamp styles that are shown can be found by looking up, “aims midcentury modern”, and can be that perfect piece to tie in any living or bedroom. A man named Adrienne Pearsall was the designer behind many of the mid-century couches and tables you see below. 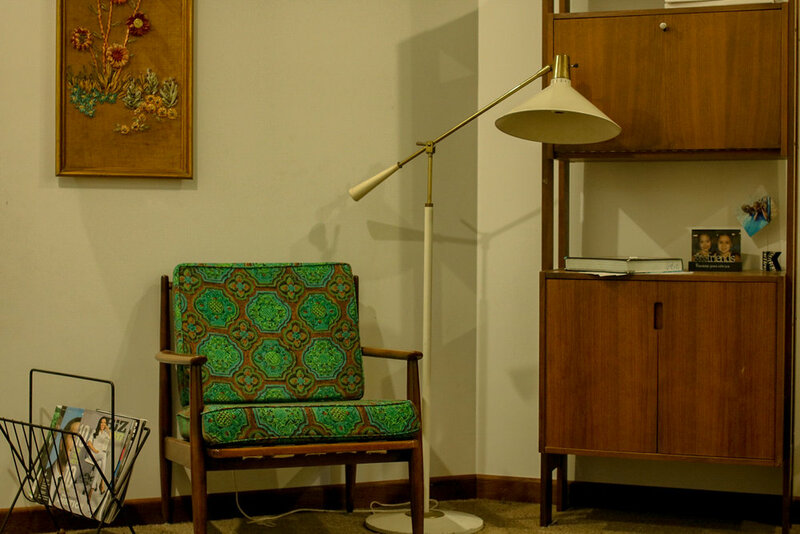 The beauty behind mid-century modern is how it brings the old back to life. Most of the pieces you will find are going to be vintage and used. Some can even be found in flea markets around us, so keep your eyes peeled for this unique furniture. Of course, some people do not like to buy used couches, tables, and other pieces, but when you do you are bringing old art into the current world and not letting it die. All of these decorations and furniture have so much character that they can bring such a new feeling into any home. For any of you looking to spruce up your space, give this new coming design a chance to bring in a new atmosphere.